Located along the western shore of Cayuga Lake, Taughannock Falls State Park is the home to the tallest waterfall in the Northeast and is the most visited State Park in the Finger Lakes Region. The gradual increase in visitor attendance over time has resulted in impacts from visitors, including the ad hoc development of various drives, parking areas, and pathways throughout the park. TWMLA led the planning effort to improve the trail and roadway networks by creating simplified and safer circulation routes. 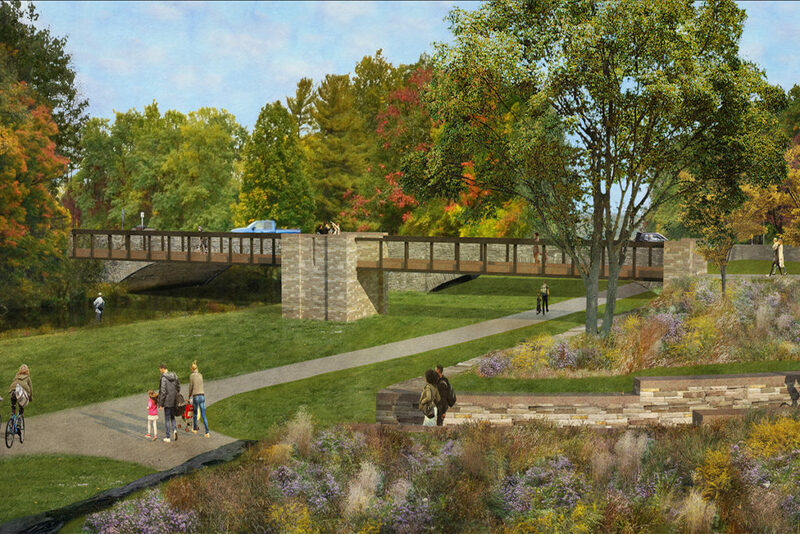 The study redefines pedestrian, bicycle, and vehicular access routes, and includes the conceptual design for a new visitor’s center, welcome plaza, pedestrian bridge, and wayfinding signage. 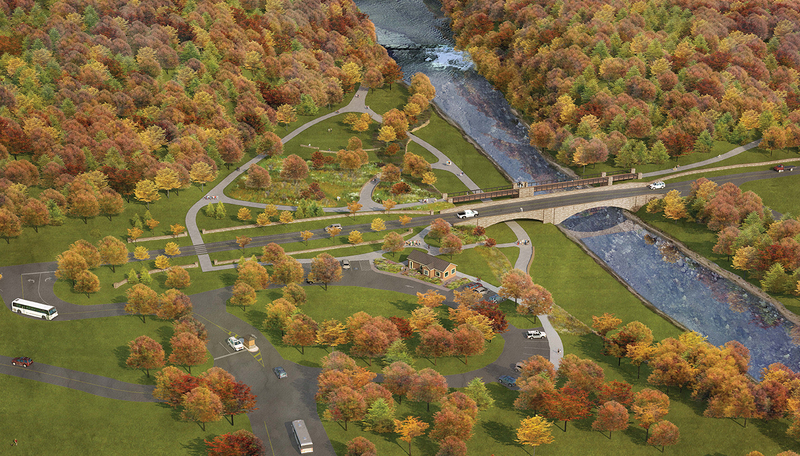 The busy NYS Route 89 highway runs through the park, separating the lower gorge trail area from the beach and central lawn, resulting in a disruption of pedestrian and bicycle circulation and creating an unsafe condition. 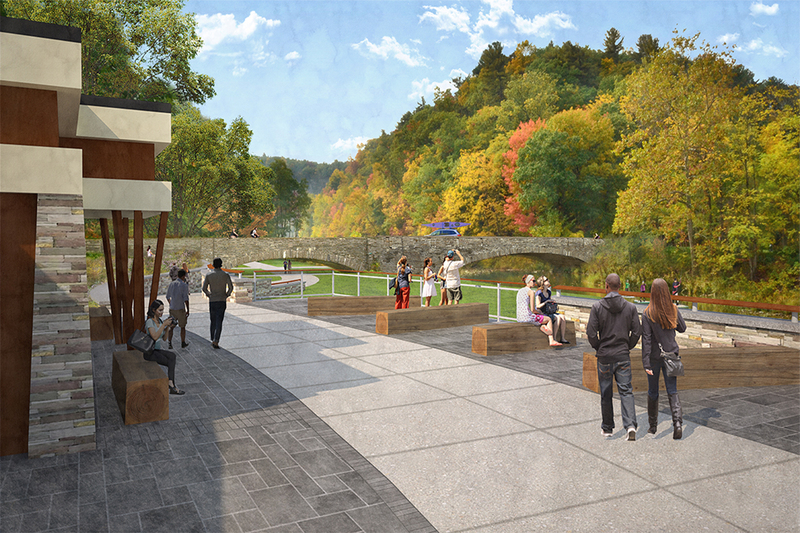 In the new circulation plan, the main pedestrian connection is re-routed under an existing bridge, improving safety and enhancing the visitor entrance to the gorge trail. The design also reconfigures space in order to expand greenspace and consolidate parking. 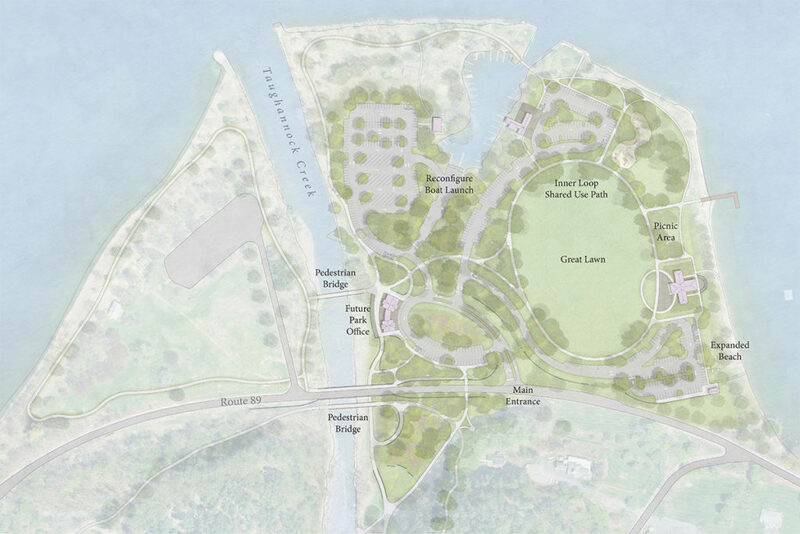 To reduce the park’s environmental footprint, green infrastructure will be utilized to address the site’s stormwater and a pollinator meadow will be created.